There’s really only one county in the U.S. where most Americans care about appellations: Napa. And to Napa Valley’s credit, its appellations actually make more sense than almost anywhere else. So when Napa Valley added Coombsville as an appellation in 2011, it promised to be an area that actually has a recognizable terroir, unlike the Sonoma Coast, which now stretches inland far enough to include a big vineyard owned by Gallo. But what is the taste of Coombsville terroir? That’s the question I have been trying to resolve. After two large tasting sessions more than two years apart, I know less than I once thought I did, and I think it’s because, as is true all over California, vignerons don’t (and probably never will) agree on what they’re trying to do. First, the brief definition of where and what Coombsville is. It’s mostly south and east of the city of Napa; parts of the city are inside the AVA. This is less unusual than you might think; I just had a terrific wine made from vines grown inside the city of Lisbon. Coombsville’s geology is interesting, as there is volcanic bedrock topped by a thin layer of other types of soil. An excruciating feature for land owners during the drought is that unlike most of Napa Valley, Coombsville has very little groundwater. El Niño has a lot of big fans in Coombsville. There are some great vineyards in Coombsville that will never appear on a label. Far Niente grows the Semillon for its Dolce dessert wine there, as well as its Chardonnay, because if you want to put “Napa Valley” on a bottle of Chardonnay, Coombsville is the second-coolest place (in temperature, not hipness) to grow it, behind only Carneros. But Paul Hobbs makes a $349 single-vineyard Cabernet from Coombsville that is the top of his portfolio. And while I don’t have figures for the grapes planted there, in both of my tastings, Cabernet or Cab-based blends made up more than half the wines. Whether or not that makes sense viticulturally, planting Cabernet is the way to go economically in Napa Valley until proven otherwise. I think Coombsville is a Cabernet area, and I think the only reason Napa vintners don’t universally agree is because they have little perspective on wines from the rest of the world. I’ve been wanting to tell this story for years; now is the time. On my first visit to Coombsville, three years ago, I went to write an article for a magazine that ceased publication before the piece could be printed. 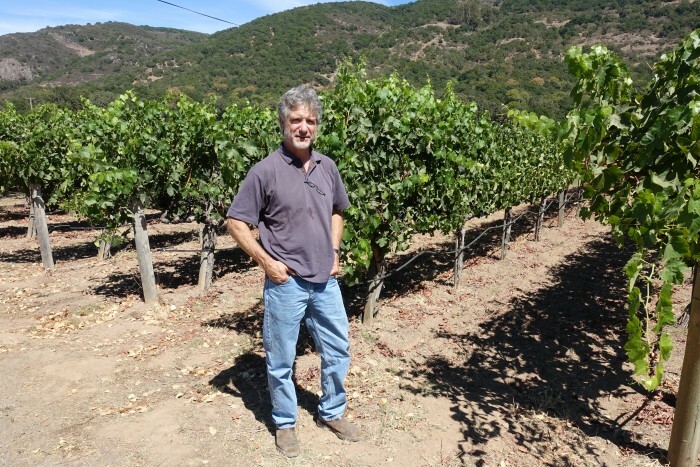 I interviewed several winery owners, and more than one was the kind of Johnny-come-lately you hear about in Napa: some wealthy person who threw a lot of money into a winery because they wanted to live the lifestyle. Several of them – more than two – tried to convince me how crappy first-growth Bordeaux wines are. They had been to France, and those wines are light! They have no substance! People talk about this Lafite stuff, but it doesn’t have the rich fruit flavors of our wines. They weren’t kidding: one couple told me they now bring their own Cabernet to Paris so they’ll have something decent to drink with dinner. Coombsville is warmer than Carneros, but cooler than the Oak Knoll District just to the north, which is also generally pitched as “cool climate.” But let’s talk about what “cool” means now. According to the Winkler Scale, developed in the 1940s, Coombsville is low region 2 – the same as most of Bordeaux. This means that if somebody wanted to make Bordeaux-type red wines in Napa Valley, Coombsville is as good a place as any. But are they good? On my last large tasting three years ago, I thought I tasted an undercurrent of minerality in many of the wines. That might make sense because of the volcanic subsoil, or it might just have been in my head. This time, a majority (but not all) of the Cabs delivered pretty straightforward dark fruit. I think that’s a vintner’s decision, as I also had a Syrah I liked a lot from Porter that tasted like textbook cool-climate fruit, spicy and peppery; Coombsville must be cool enough. I think many Coombsville vintners are terrified of a hint of Cabernet’s characteristic herb notes, but as long as that is the case, and they pick ripe enough to eliminate those, they have no chance of establishing the region as distinct from anywhere else in Napa Valley. Complex, smokey, bacon-fat aroma leads to an interesting palate of blackberry, tar, bacon fat, smoke. Good acid makes the finish lip-smacking. The wine I most wanted to take home. Only 250 cases made, but I did find some online. Rich but well-balanced, with plenty of smooth tannins and velvety blackberry fruit. A salty, minerally taste emerges with an hour of air, making it the type of wine that stays interesting. The name “Covert” has multiple meanings, as the estate is apparently hard to find; it’s a label created by the founders of Azur Wines and has little Internet presence; and I couldn’t find the wine for sale online. Was tempted to not include it but they’re planning to open a tasting room soon and it’s just interesting enough that you might put it on your list of places to visit in Napa. Dark cherry fruit, decent freshness, but plenty of tannin. A powerful wine, bold and rich, and very well-made. I like this better than his $349 single-vineyard wine, which got 94 points from the Wine Advocate. Which doesn’t taste blind. I know it’s crazy to call an $80 wine “good value,” but for quality Napa Cab, that’s the reality these days. Dark and foreboding, with firm tannins, black fruit and black earth. Blackberry on the finish. The modern Napa Cab profile, and unlike many high-alcohol wines, I liked this one more the more time I spent with it.